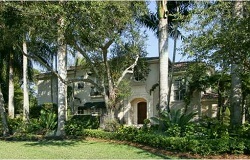 High Pines is a small neighborhood located between South Miami and Ponce/Davis. Within walking distance to South Miami's many restaurants, bars and shops and only minutes away from Downtown Miami, High Pines real estate is in high demand. Houses for sale in High Pines range from $400,000 to over $2 million for new construction and houses on larger lots. If you are interested in High Pines real estate, trust the Forster Team to find the best High Pines home for your needs and budget.